The caliber of programming is heads and shoulders above the rest. One of the things that sets them apart is their use of music in different shows. The beauty of this is the fact that they use current songs from top artists rather than the canned, sound-a-like stuff that is heard in US television shows. Maybe it’s just the programming that I watch on BBC (Top Gear, Graham Norton) or my ear is tuned into the soundtrack more than the substance of the program. Hearing a snippet of something that I have heard in the past will make my ears prick up with excitement. It could be the full blown song or a loop of a 7-second instrumental, I then have to go to my collection and find the track. At which point, I will listen to it ad nauseam for the next week. 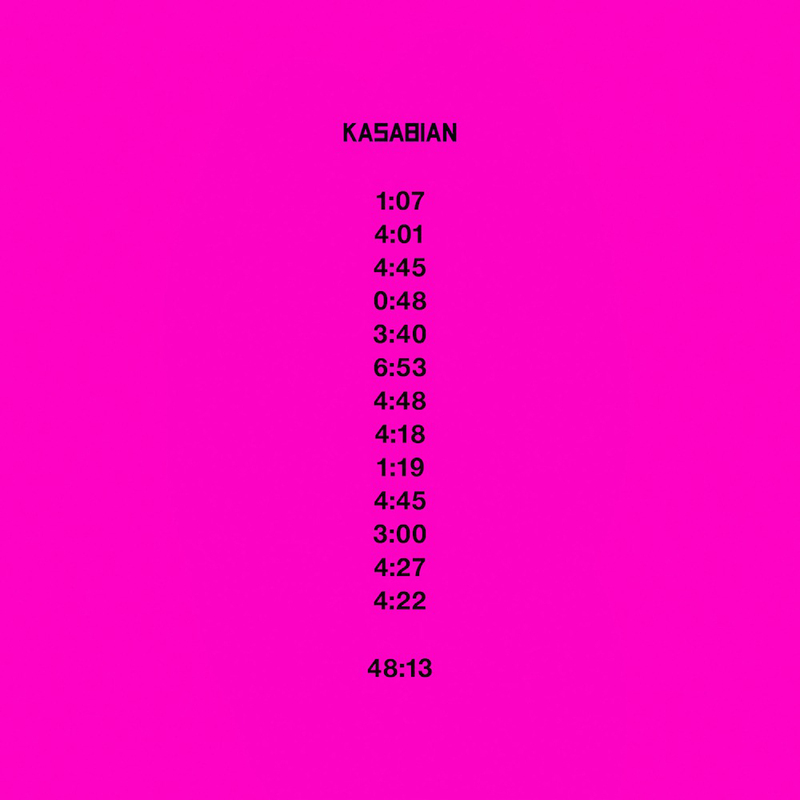 I bought 48:13, quite some time after seeing Kasabian perform “Eez-eh” on The Graham Norton Show. I remember the band saying that they chose the title of the album before recording any of the tracks, essentially dictating how long it would be from start to finish before any of the engineers hit record. 48:13 is a solid album from 00:01 – 48:13. Not a bad track on it. Russell Howard came to the US to do a small tour, hitting up some of the smaller venues. I had gotten some tickets for my birthday and it was being held at Benaroya Hall, actually, the auditorium at Benaroya Hall that held about 500 people. During the pre-show music, my ears pricked up when I heard the intro to Russell Howard’s Good News. All the time that I had been watching the show, I thought it was a piece of music that was made specifically for the show. Nope. Thanks to the Google app, I found out it was Kasabian’s “Fast Fuse” off of West Ryder Pauper Lunatic Asylum. Watching more and more of the programming on the BBC, I find more and more use of the deeper cuts from different albums of different artists. A truly eclectic mix. It’s almost as if they don’t care what the current hit from the artist is, they go with something that they know is going to make more of a connection with the audience…and I like that!